Pair with our 1-1/4" split mouldings to create a decorative pilaster. The Series 125 combo spindle works beautifully in areas with a small filler space. 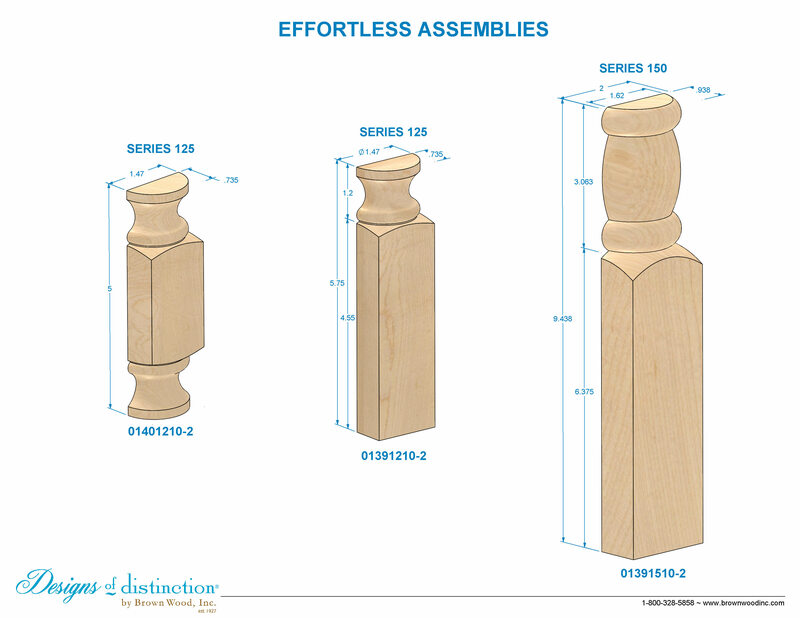 These spindles will fit in even a 1-1/2″ area to add a little pizazz to your designs. Pair with any of our 1-1/4″ half round mouldings to create the perfect, petite pilaster. Pair with other Series 125 components. Matching components available in the Greco Roman Collection. Call or submit a quote for custom species and sizes.